Madelyn Daley is an established criminal defense lawyer located in Belleville, Illinois. Her legal practice has a long history of representing clients with a wide variety of criminal charges such as DUI, traffic offenses and criminal felonies. She is also highly skilled in obtaining record expungements and seals for individuals wanting to obtain a clean slate. When clients come to her, they are understandably nervous, stressed and worried about their future. When you retain Madelyn Daley as counsel, she will take the time to discuss your specific legal circumstances in depth. She will offer you realistic and practical advice, as well as an honest assessment of your current legal circumstances. Through her years of experience, she is able to gauge potential outcomes and best options for moving forward. She will help you make informed legal decisions. Criminal defense is all that she does. 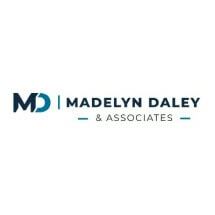 By having a dedicated focus in this practice area, Madelyn Daley is always current on relevant case law, and the most strategic legal methods to help her clients. She is also in the courtroom almost every single day. Madelyn understands how the criminal court system works and what it takes to obtain the best possible results for her clients' specific legal problems. Regardless of the crime, a conviction can have serious and lasting implications well into your future. Hiring an experienced and qualified lawyer such as Madelyn Daley greatly increases your chances of a favorable outcome in your criminal defense case.